I am speaking about democracy in a nutshell today, because pretty well that’s all is left of Hungarian democracy by today. In fact, it is even quite loose in that nutshell, after having shrunk so small. On December 31 2013, in the late night hours, as the country was well on its way to get drunk and celebrate the new year, the Official Gazette of the Hungarian government published the text of a theretofore un-heard of Order: ”About the memorial to be erected in Budapest’ fifth district and qualifying it as an overriding national economic importance and the appointment of the competent authorities.” This is just the title! You can imagine what follows. But let me translate the details. The fifth district is the historic center of Budapest. The “overriding national economic importance” is the legalese term lifted from a not so long before enacted piece of legislation that enables the government to avoid any public tender process and regardless of the size of the project, award it to whomever they please, without any disclosure or explanation. This is corruption writ large, carved in legislative stone. (The price was found out later to be 311 million forints, or $1,399,671). The memorial is intended to stand on Freedom Square, a storied and beautiful public place, rife with social and historical significance, just under the windows of the US Embassy, and be ready on the 19th of March 2014, on the anniversary day of the German occupation of 1944. You must forgive the interruption, if I stop to explain. The winged figure, according to the artist’s technical description, is the defenseless and innocent Archangel Gabriel, symbolizing the defenseless and innocent Hungary, savagely attacked by the imperial eagle of the Third Reich. Of course you all know that far from innocent, Hungary was a staunch ally of Hitler, benefited from the alliance and received the occupiers with open, welcoming arms at the time. This memorial is nothing but the most blatant, revisionist falsification of history. The intended spot for the memorial is on top of an underground garage, whose roof had to be enforced to bear the weight, so, the deadline had to be extended to the end of May. Just before I left Budapest this was its state. Of course, there was soon someone, who suggested a more suitable alternative, depicting what actually happened in 1944. Naturally, you may ask: who could think it desirable to memorialize and celebrate the day of national humiliation, the source and the beginning of untold suffering and bloodshed? Well, it is the government of Prime Minister Viktor Orbán. PM Orbán himself is not at all averse to flaunting some eagles of his own. But how did we come to this point? Well, in the election, May 2010, Viktor Orbán and the FIDESZ party won an overwhelming majority. The electorate was thoroughly fed up with the previous Socialist-Liberal coalition and wanted change. They elected the only alternative available, with a comfortable majority of 53%, and that was enough for a 2/3 majority in Parliament. On the evening of the election Viktor Orbán declared that “the people of Hungary executed a revolution in the voter’s booth.” He set to work within weeks to transform the entire system of government. It worked democratically before: checks and balances. But now, just as he described it previously, in a secret speech in the fall of 2009 to his confidantes, it would be a central “force field.” Eliminate the useless bickering, the bothersome tug of war between disparate interests and instead, government by the will of a single force. Before the opening of Parliament he personally received each member in his country house, where they, one by one, assured him of their personal loyalty and pledged cooperation. With one single exception this pledge has endured, their 2/3s of Parliament has flawlessly functioned as a voting machine. With such legislative prowess it was a synch to strangle the checks and balances. Some of them were just shut down. Others he replaced with new ones, or only their personnel were replaced with his own loyal followers. Usually placed there for nine-year terms, to carry out his policies, even if god forbid, he should lose an election in the future. After an unfavourable decision by the Constitutional Court, he diluted it, from nine to fifteen members, appointing his supporters, among them his personal lawyer, to prevent any similarly unpleasant decision in the future. And since he was working on the court already, he cut off most legal access to it and curtailed the court’s field of competence. After these swift and efficient preparations he was ready to implement his “vision” even further! The Orbán government, in a legislative fury, first issued first the Manifesto of National Cooperation to be displayed in every public building. This document stipulates that the national reconciliation, peace and brotherly understanding will be accomplished, if everyone, just meekly follows the government. A new constitution was secretly prepared, without any consultation, and pressed through Parliament in three weeks, claiming that it was absolutely urgent and necessary, because the previous constitution (to which they all swore allegiance and promised to uphold) was a communist document. Concurrently, Orbán personally appointed as state dignitaries his college friends, reduced the number of ministries to eight, thus concentrating power in the most trusted hands. The speaker of the House and the president are his roommates from his college dorm. But there is a fourth college friend who is perhaps the richest man today in Hungary and who, from the beginning, directs the financial dealings of the party and possibly Orbán himself, and is so obscure in the background that for more than twenty years has not been seen, or photographed: Lajos Simicska. The oligarch par excellence! This man owns the vast majority of billboards in Hungary, the largest advertizing agency, newspapers, TV and radio stations, the largest and most favoured civic engineering firm, and has the largest long-term lease, over 9000 acres on state-owned agricultural land. (While the legal limit is 300 acre per person and 1200 acres per family.) In 2013, his mind-bogglingly complicated company-network was awarded 14% of the entire public works and procurement budget of Hungary: 875 million forints (€2,916,700, or $3,946,418) every day, 39,6 billion forints (€128,721,432=$178,603,644) in total for the year. All this, of course, was done secretly, through unknown channels and processes. Behind the mask of Orbán, Simicska is actually running the country. At the head of the eight ministries are Orbán’s most trusted people. That would be fine, if they were qualified. But in many cases they are not. Most ministries are covering unrelated responsibilities. For example, the Human Resources Ministry, that controls the greatest budget, has the responsibility for pensions, healthcare, education, employment, funding for the arts, Roma integration and so on. And who is the minister of this complex? 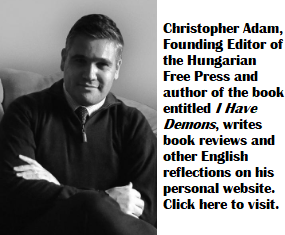 He is Viktor Orbán’s spiritual advisor, the Rev. Zoltán Balogh, an ordained minster of the Reform Church, who has not the slightest previous experience in public administration. Although the individual fields are supervised by under-secretaries of state whom, in many cases, are professionals at least. (Some of them are also graduates of the Simicska conglomerate.) While the Minister of Finance, interestingly, is an economist, the Minister of Development, in charge of all public works, is a bookkeeper, Mrs. Németh, who is also an alumna of the oft-mentioned oligarch, Mr. Simicska. Her educational attainment is a high school diploma. She hardly ever speaks publicly, or in Parliament. Her voice, (and her professional advisor as well), is Dr. János Fonagy and with him we arrive to one of our basic subjects: the Jewish contribution. He is one of the two known, openly Jewish members of Parliament. Fully secular, very smart, a truly dedicated lawyer. Dedicated that is, to upholding and operating the new, practically single-party system. But this savvy, seasoned lawyer was stunned well-nigh speechless, when, in November 2012, one of the openly anti-Semitic MPs demanded the listing of Jews in Parliament. All he could say was that his parents were Jewish, yes, but he had no choice, and no, he is not practicing. So, now that we are inside, let me introduce you first to Mr. Speaker, Viktor Orbán’s former college roommate, former communist party apparatchik with latent authoritarian inclinations, the intensely anticommunist Dr. Lászlo Köver. His job is to restrict the House’s operation so that only Fidesz can have its way and to stifle the opposition. Speaker since August 2010, from his appointment on, he imposed control on proceedings. He cancelled all press credentials, then later, after readmitting them, he relegated all press to the loggia above the Speaker’s perch. This resulted in the prevention of photographing him and the person speaking on the rostrum from any angle, except from above and from behind. All rights to video are restricted exclusively to the official parliamentary broadcasting system; journalists are forbidden to make videos. This is not just idle talk. There are guards, immediately interfering with any such attempt, if necessary, by putting their hand in front of any camera. The “official” video broadcast is strictly controlled in the government’s best interest and if the opposition should do anything untoward, or unexpected, the screen shows the speaker only, the sound is cut off and the public will never find out what actually happened. The public cannot come in and information cannot get out of there. Is it any wonder, therefore, if the public at large is completely ignorant of Parliament? One of Speaker Kövér’s golden rules is that immediate questions must be submitted in advance in writing, the MP must read them verbatim from paper and the Government’s answer is also read from paper. The whole charade of „immediacy” is a surrealistic farce. Having sat in that press gallery for some time, I became increasingly frustrated by my failing hearing. I knew I was losing it, but this fast? After some days I realized though that I can hear Mr. Speaker perfectly well, only the rest is a muffled noise. I decided to „investigate.” Looking around the balcony I discovered that two loud-speakers on each end clearly convey Mr. Speaker’s voice from his microphone, but the connection to all other microphones are cut off and the disconnected loud-speakers and wires, as sad leftovers of corpora delicti, have been there strewn under the chairs. I went immediately to the Press Office a few doors away. The head of the Press Office didn’t want to believe me. „Nobody has ever complained about such a thing before,” he said with conviction, (Yeah, retorted I, because nobody was interested in what is said in there,) then he put on his jacket and we dashed off to the press gallery to see it. I showed him around in his own domain, explained how the system worked, that is, how it actually didn’t work, showing the detritus beneath the chairs. I still don’t know to this day, how sincere his astonishment was. We went back to his office and I asked what he intended to do about it. He promised to reconnect the speakers. A week later, seeing that nothing happened, I went back to him, but an other official told me that it was the end of the session, they are swamped, and this must wait ‘till next session. That, of course never came, soon an election was called for a new, reconstituted Parliament. Speaker Kövér also called into being a special military unit, the Parliamentary Guard. The costume of the Guard is a combination of a little pre-war Royal Hungarian and a lot of German Wehrmacht elements and bear no resemblance to anything historical. But no matter, if Regent Admiral Horthy had such a guard then Speaker Kover, the son of a provincial metal worker, must have his too. The Hungarian Parliament has dispatched a prodigious number of bills, produced at a scorching rate. In 2012 the government submitted and the House voted in 364 pieces of legislation. That’s right, one for every day, except Christmas day! So to speak. Regularly the government introduced legislation, several hundred pages long, on Friday evenings and got it read and voted in the following Monday. Amendments were proposed by obscure Fidesz backbenchers, often just half an hour before the final voting, and they passed, regardless of the opposition’s claims that there wasn’t even time to thumb through the papers. Voting was frequently timed to occur in the middle of the night, or later, to avoid possible public scrutiny. To my knowledge, in these four years, not one single bill submitted, was supported by any corroborating background papers. If ever made, they have been kept secret from Parliament, as well as from the public. Many of these laws are contrary to European Union rules, sometimes contrary even to their own new Fidesz constitution, but the European Union besides ruminating, producing damning reports and furling its collective brow, does nothing. The Machine works miracles. One of those “miracles” was the new election law pushed through with the same dizzying speed and a mere few months before the election itself. It came out of the machine providing unprecedented advantages to the governing party, while making a win for the opposition nearly impossible. (As one of the opposition MPs noted, the field was not only tilted, it was actually vertical.) It reduced the members of Parliament almost by half and included rampant gerrymandering. Consequently, last month’s election although free, was neither fair, nor equitable. The rules were so skewed that even cheating was not necessary. Thanks to the carefully “calibrated” rules, 44.87%, of the 61,24% voting, Fidesz won another electoral triumph. This represents a mere 27% of the eligible voters, yet again it was enough for a super-majority. In closing, let’s come back to the memorial, the start of this paper. Mr. Andras Heisler, and sent a Memorandum to the government. They set three conditions to participate in the official year of remembrance, one of them being: this memorial project must be abandoned. Anti-Semites were crying foul immediately, talking about ultimatum. No sane person could accept the whitewashing of war crimes, attempted by this “statue:” the murder of 600,000 Jews, the 160,000 casualties on the front, or the cruelties perpetrated by the Hungarian forces in Serbia and against the Ukrainians. Grudgingly, Orbán, citing the impending election campaign, suggested adjournment and reconsideration until, after the election, consultations could be held, in a calmer, more conducive climate. MAZSIHISZ quietly agreed, but were stunned when two days after the election the construction work started without the promised consultations. So, they decided that the Jewish Community „en bloc” shall disassociate itself from the official government memorial events. The Jews will remember in their own way, in their own time, and with their own money.Thanks to his own obstinacy, Viktor Orbán has painted himself into a corner from which he can only come out with a major loss of face and by the same token, forged a Jewish Community so tightly united as never before, and to a degree never thought possible. This is the first time, in an unprecedented way, that the Jewish Community has taken it upon itself to proudly represent civic courage, the advocacy of Reason, and the principles of Democracy, in the name of the entire Hungary, that hardly anyone else dares to do in the ever deepening and darkening pit, that Hungary is rapidly becoming in the middle of Europe, and do it right into the face of the government-machine of Viktor Orbán. Sándor Kerekes, a columnist with the Kanadai Magyar Hírlap, originally presented this paper in Tel Aviv, at Ben Gurion University. A version of this paper also appeared in The Hungarian Spectrum. Is that right? Hasn’t it been a bit simplified? Speaking computer language I see Orban as an .exe file, Simicska is the program the softpack, but who is the programmer, the developer? 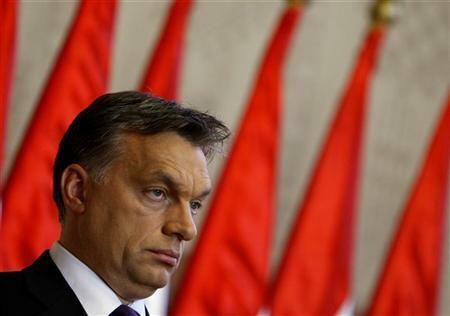 Orban is a big nobody, a disposable mind controlled junk, a complete write off, in a state of trance and post traumatic depression. Let alone his other mental and personality disorders or illnesses. 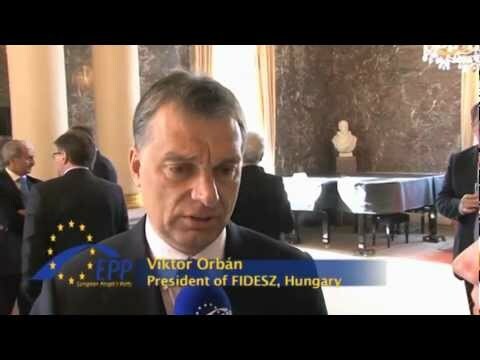 People ask how the young democratic revolutionary Orban could change so much. He hasn’t changed. He was always like that, his unfortunate nature and unstable mind was just exploited and put in good use and he’s been transformed and was given a brand new personality. That will eat him up. Now Simicska is busy with money laundering, gold, diamonds and recently antique works of art. – They are just leaves upon the sea. They, both of them, control nothing. Just obedient money launderers. JFK. had an unfortunate idea to mess up with the money cartels and ended up with a bullet in his head. Chavez started cooking on his own and delivering public speeches about the background powers and the HAARP warfare, touched the money issues and he and 6 members of his cabinet became a cancer sufferer. Obuchi started planning and touching the Japanese monetary and financial system that had some influence to the international money cartel and finished up with brain hemorrhage just as Nakasone and Tanaka and the others in Japan who all died the same way for the same reason. Orban and Simicska couldn’t survive for a second if – besides cooking on their own sometimes to the permitted extent – they denied obedience to their programmers, their masters. That is where the story begins.